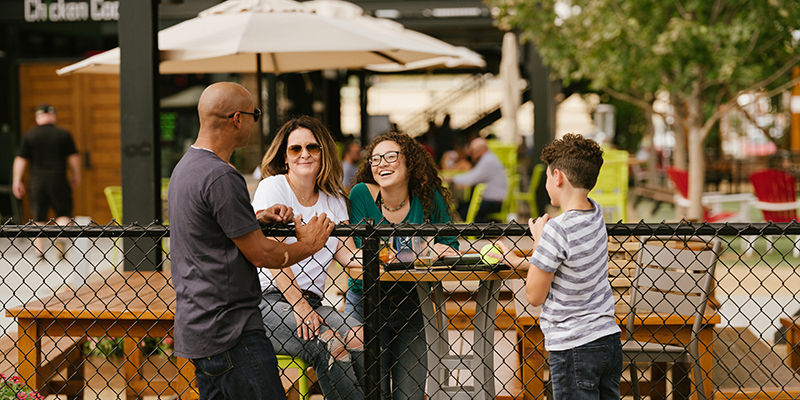 Whether you’re taking in a stellar view, soaking in the sun’s rays or cheering on your favorite team with hundreds of other fans, there’s a Kansas City patio seat with your name on it. 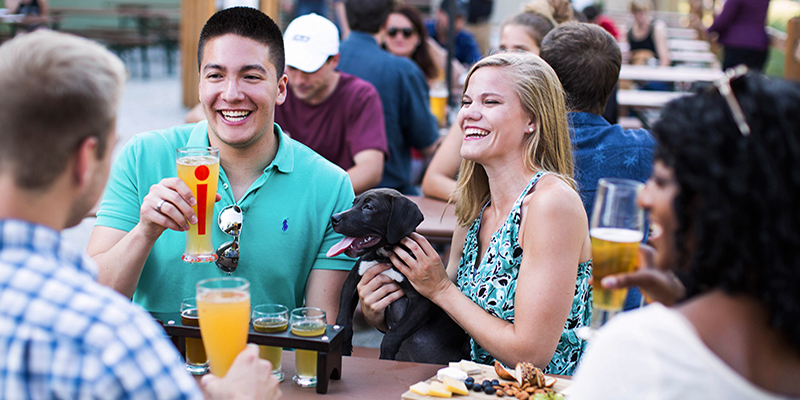 Explore the city and you’ll find some of the best patios for every type of occasion. Not all patios are created equal. Take, for example, Trezo Mare’s Briarcliff terrace, which comes complete with magical lights strung overhead and a firepit for cooler evenings. 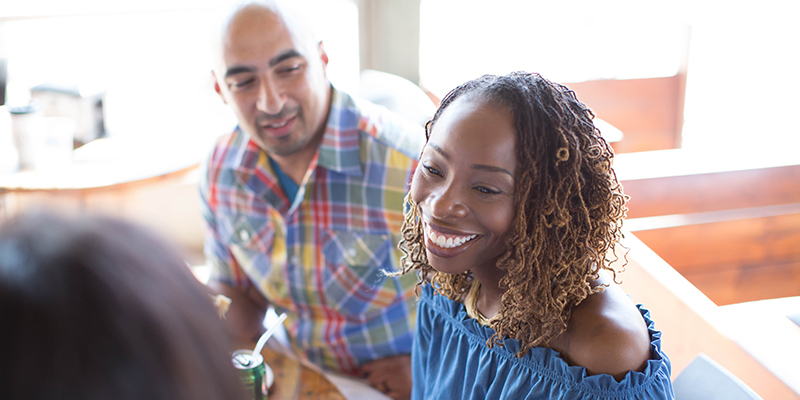 Meanwhile, in River Market, power lunches and after-work happy hours reign supreme at Harry’s Country Club, a casual classic beloved by many. Bring the party upstairs at Up-Down, an arcade bar in the Crossroads Arts District that touts giant Jenga and a one-of-a-kind perspective in every direction. There you’ll find a tap list full of local brews and old-school arcade games back on the first floor. 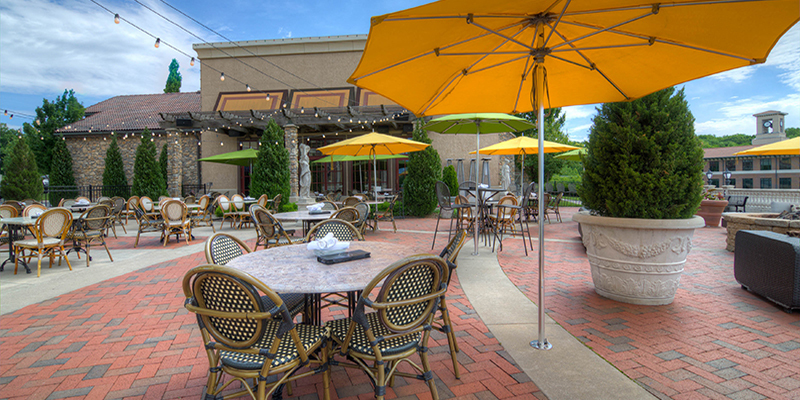 Or, hit the patio at Maloney’s Sports Bar & Grill for double-decker seating overlooking Downtown Overland Park. In search of an open-air environment to kick back for a few hours? KC has you covered. Just north of the river sits Chicken N Pickle, a unique concept that perfectly pairs pickleball with picnic space and rooftop views. 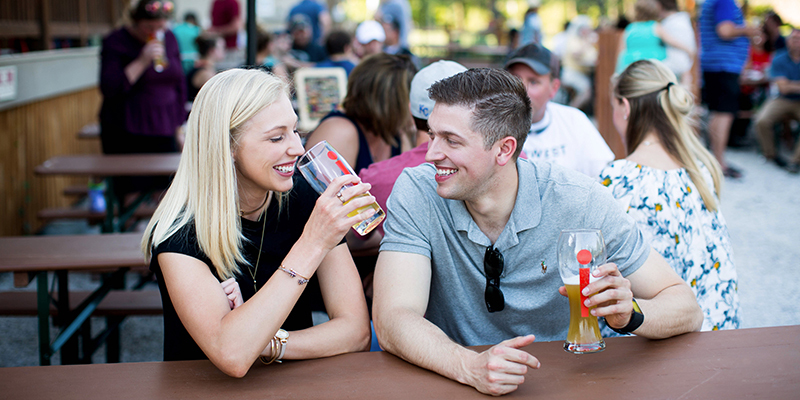 One of the most popular breweries in the region, KC Bier Co. specializes in authentic, German-style lagers and ales—and touts a one-of-a-kind biergarten. Head up to top floor at Messenger Coffee Co. with a latte or pour over in-hand to enjoy third-story views of the Crossroads. Known for a great many things (see Spanish-inspired architecture and high-end shopping), the Country Club Plaza is home to several incredible patios. Sit in the middle of the action at modern gastropub Gram & Dun, where every dish, from the starters to dessert, is lovingly crafted. To escape the hustle and bustle, chill out with live tunes at Grand Street Café, still on the Plaza but providing an intimate setting for a fine-dining experience. 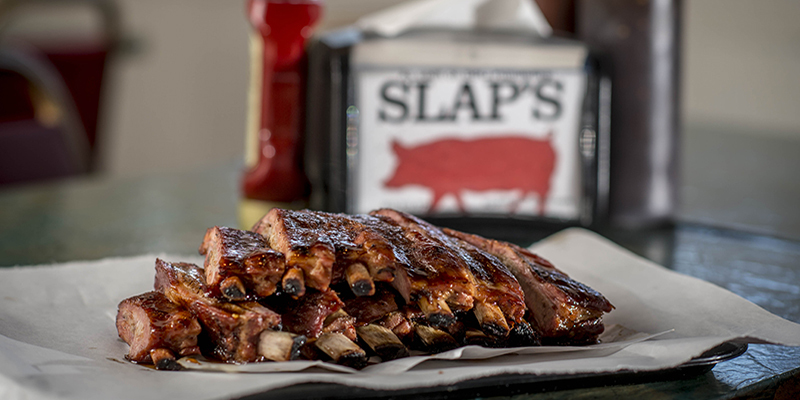 Skip the white tablecloth and replace it with paper napkins at Slap’s BBQ, a not-so-hidden KCK secret that offers the region’s signature smoky tastes like burnt ends, ribs and a smattering of savory sides. Grab tapas any time of the day at La Bodega—then post up outside and couple it with refreshing sangria. And no trip to Independence is complete without an Italian meal at Café Verona, where you’re invited to dine outside surrounded by fountains and beautiful red brick. Big 12 Basketball Championship, huge international soccer match or exhilarating playoff game, soak up the excitement of Kansas City’s sports environment at Johnny’s Tavern. The Power & Light District pub is part of KC Live! 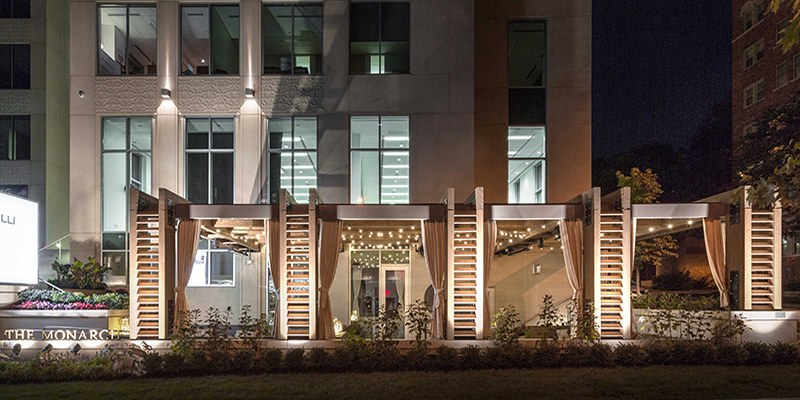 Block, making it one of the most coveted porch locations the city. 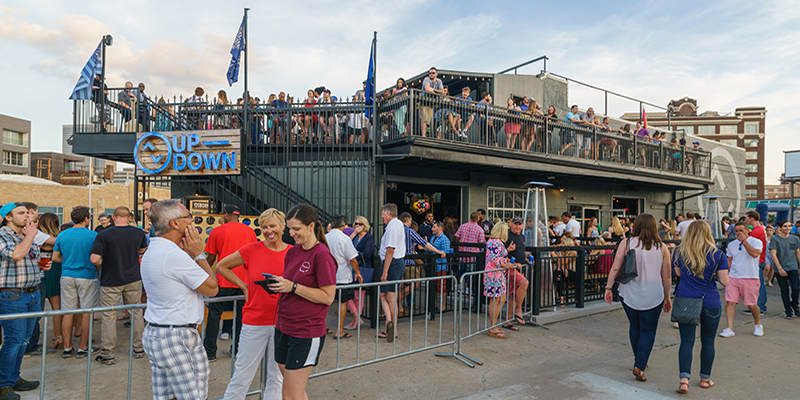 For other bigtime sporting events, head to Waldo’s The Well Bar, Grill & Rooftop, where your game-watching experience is literally elevated—its second floor hosts watch parties of all kinds. During trips to the City Market farmers’ market (or any River Market-centric event, for that matter), seek shade underneath Taste of Brazil’s bamboo awning and cool off with the country’s national cocktail: a refreshing, authentically prepared caipirinha. 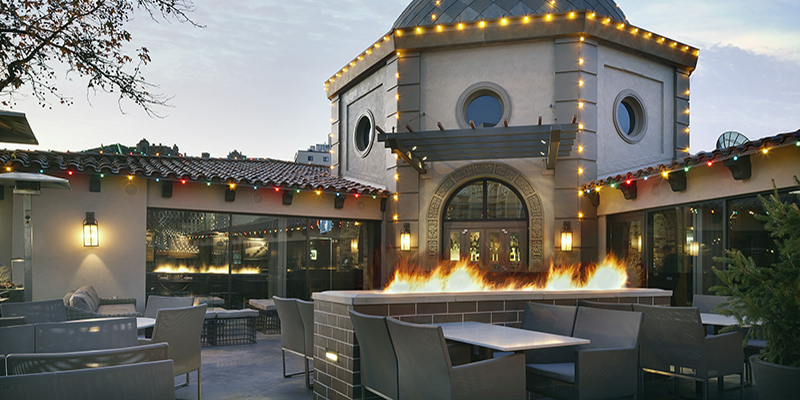 For ultramodern scenery and a chic patio setup, make your way to The Monarch Cocktail Bar & Lounge on the Country Club Plaza. Innovative drinks and lavish details make it a destination that always impresses.